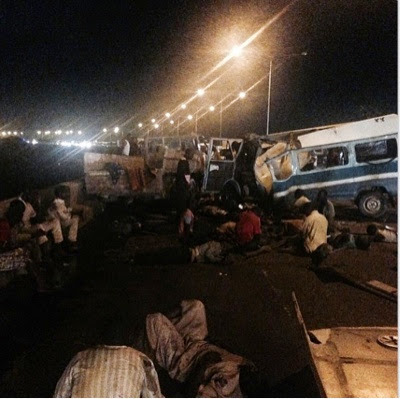 Pic : Major Accident on Eko bridge late last night over 15 people dead!!! A major accident occurred on Eko bridge late last night claiming the lives of over 15 people and left several others injured. Details of how the accident occurred are still very sketchy but i managed to get a photo from the scene.